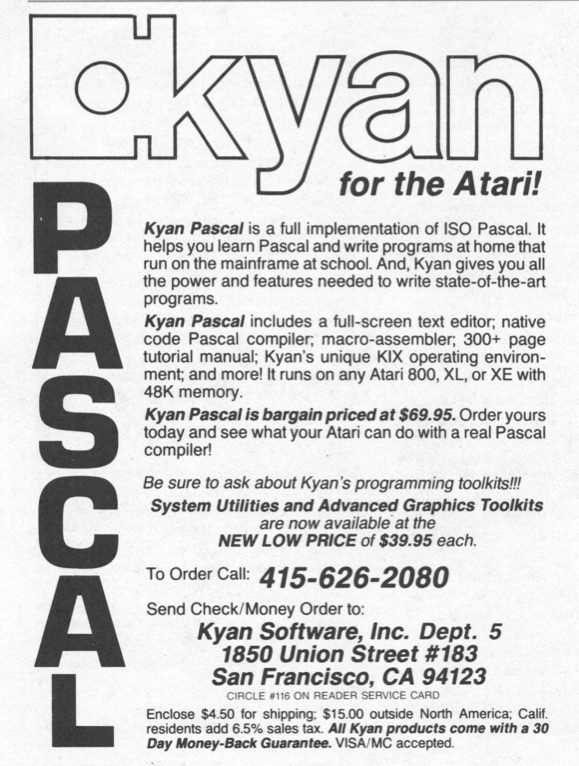 I never used PASCAL after school....does it even exist still today ? It was way too limited IMHO. 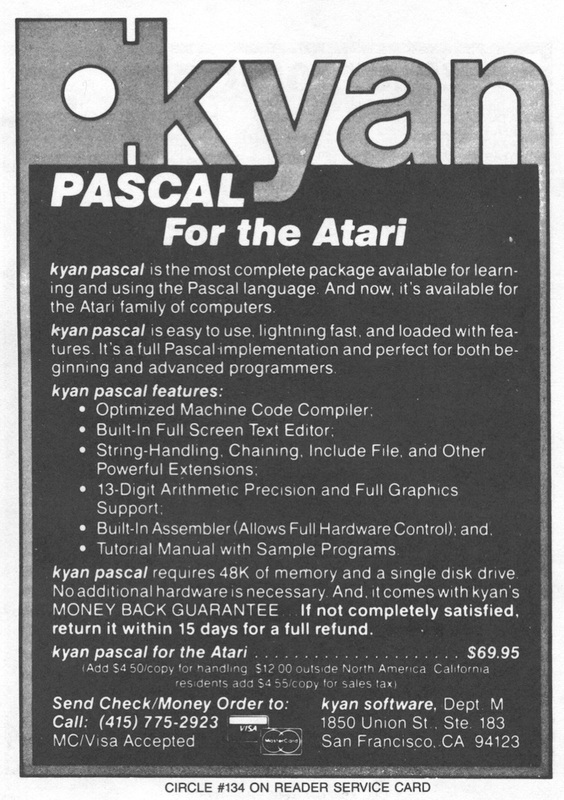 I was amazed to see a decent Pascal compiler on my tiny Atari. My professional thesis adviser could'nt either (he got somewhat angry because he paid a lot more for his Apple computer... and the compiler. 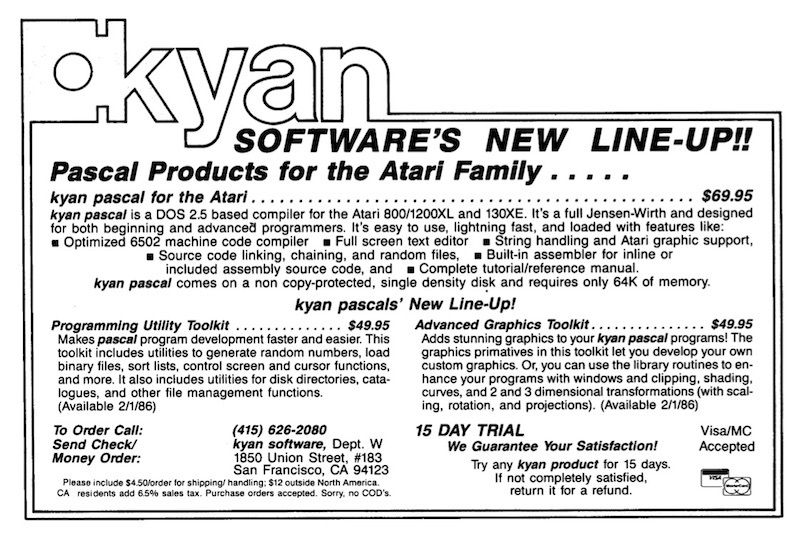 Language Machine Language Publisher Kyan Software, Inc. Version 1.0 and 1.1 included in download.